What comes to your mind when you hear the word “Scotland”? 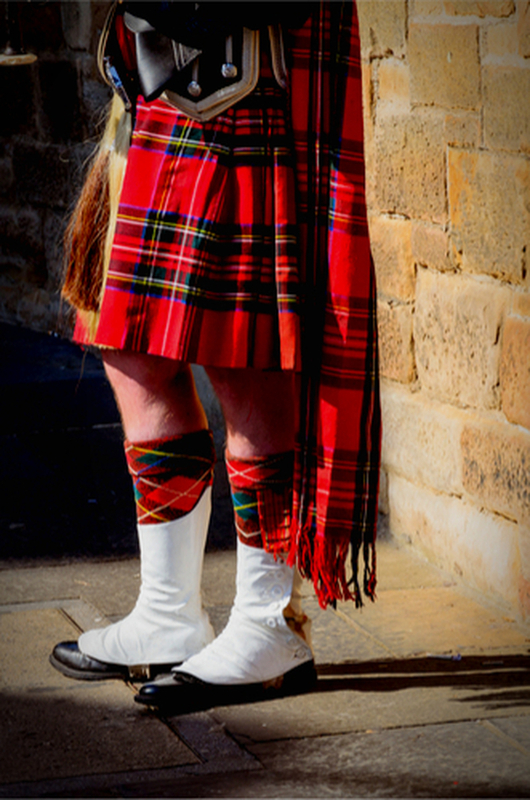 Most likely among the first associations there would be kilt, clan, bagpipe, castle, scotch, etc. 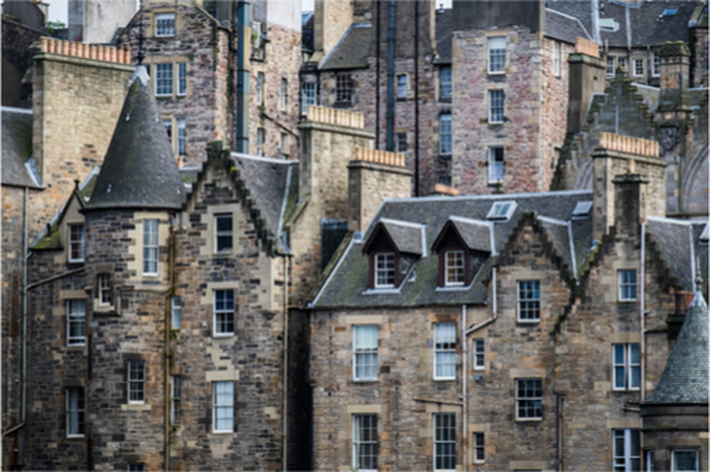 Although a few of those things like bagpipe, whisky and castle are not solely typical of Scotland, stark fortifications and strong drinks remarkably go together and add to the mysterious Scottish setting: capricious weather with frequent fogs and piercing wind, and a fiercely proud nation. Wander in the medieval corridors and dungeons of the iconic castles and marvel at the ruins of the ancient fortifications that once belonged to the powerful clans. Try some of the best single malts in the world and find out how the Scottish water of life is produced. Go to see Loch Ness - the most mystical lake in the world. 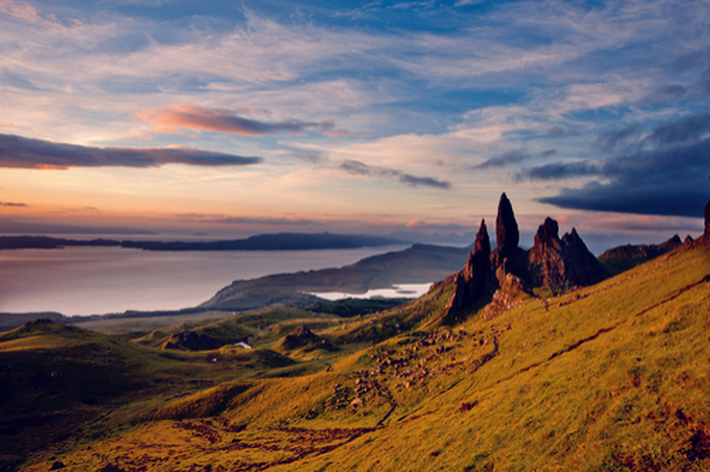 Visit the Isle of Skye - the most famous and versatile island in Scotland and one of the most beautiful islands in the world. See the magnificent sights that appeared in box office film. Feel a unique ambience of this wonderful country on our private tour to Scotland that will be accompanied by a distinctive sound of the bagpipes. On our small group trip around Scotland you will get 100% Scottish experience with whisky tasting, visiting medieval castles, sightseeing in Edingurgh and Glasgow, as well as nature admiration and outdoor activities on the Isle of Skye. Departure from Edinburgh. Visiting the medieval castle of Stirling, in which several Scottish kings, including Maria Stewart, were crowned. 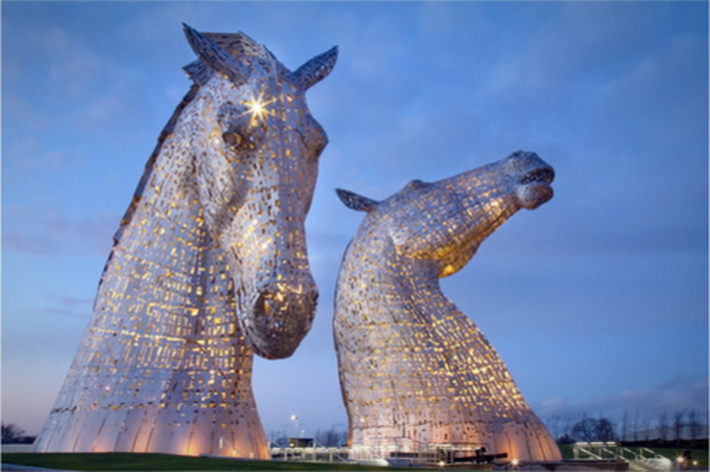 Stop by the Kelpis - sculptures of the mythical creatures which are ranked as some of the most unusual monuments and make for the largest sculpture of horses in the world . Stopover to see the oldest tree in Britain - the Fortingall yew, in the shadow of which Pontius Pilate, who is known to have ordered the execution of Jesus Christ, was playing. Overnight stay in Aviemore. Visit the majestic ruins of Elgin cathedral, which once was the greatest representation of the Gothic architecture and Scotland’s Catholic Church. On the way to the famous Glenfiddich/Macallan whisky distilleries that we will visit, we will stop by the ruins of the classic Norman castle Duffus. A night in Inverness. Departure for Loch Ness - the most famous lake in the world which attributes its fame to the ancient monster Nessie, which has been seen in the dark waters of the loch. 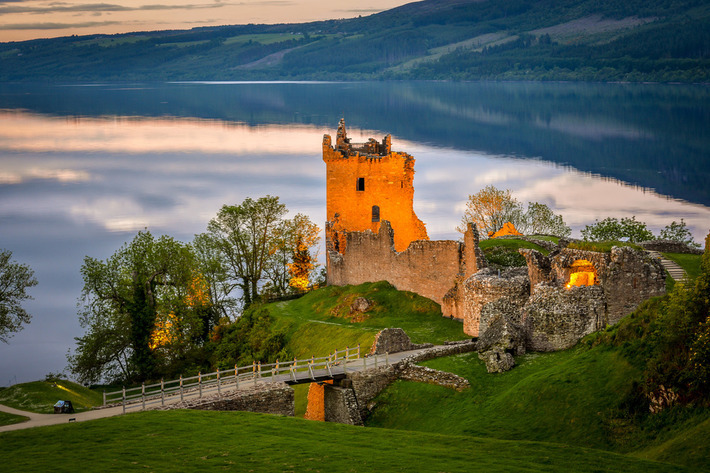 Perched on a hill and overlooking the lake there is Urquhart castle that was built in the 5th century and for which the most influential Scottish clans fought. 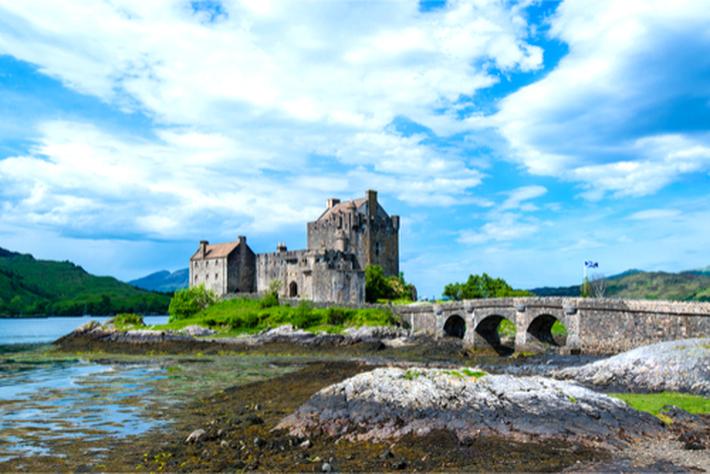 On the way to the Isle of Skye, the most picturesque place in Scotland, we will make a stop at the most photographed castle in this country or even the whole world - Eilean Donan. 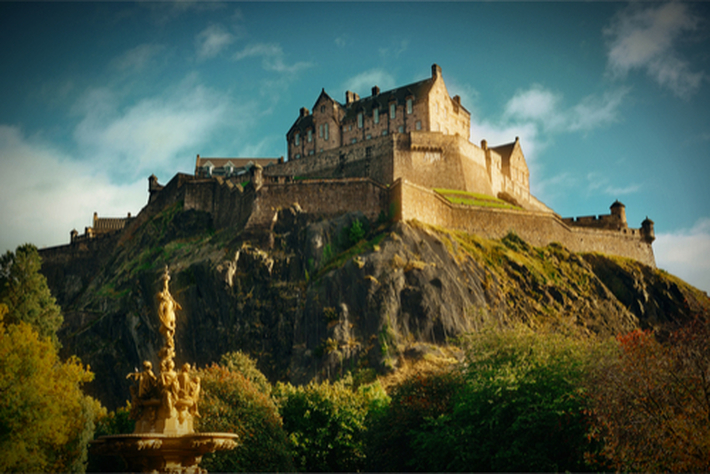 The fortification appeared in the film about the famous highlander Duncan MacLeod. Enjoy the beautiful scenery of the island including the geological wonders of the Old Man of Storr (a prominent pinnacle), Kilt Rock (a waterfall that drops directly to the Atlantic Ocean from a 90-meter steep cliff 9), next to which we will try to spot the traces of dinosaurs. 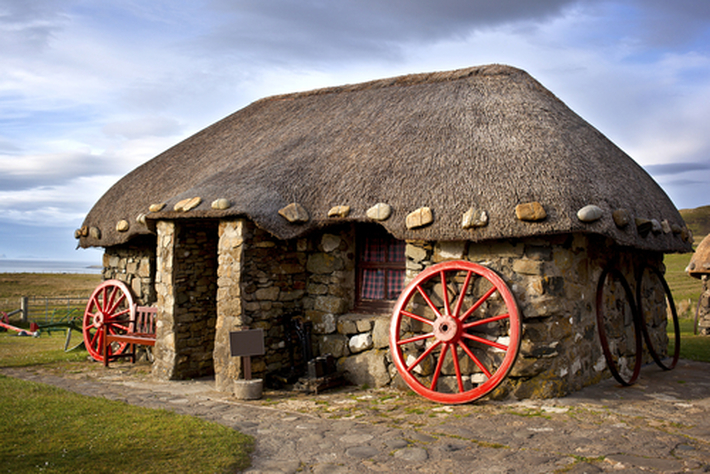 Visit the Skye Museum of Island life, thanks to which we will be able to go back in time, see how the life of local farmers looked 100 years ago and feel the atmosphere of the times when the island was not one of the main attractions of Scotland, but had undergone devastation after the massive eviction of the highlanders. 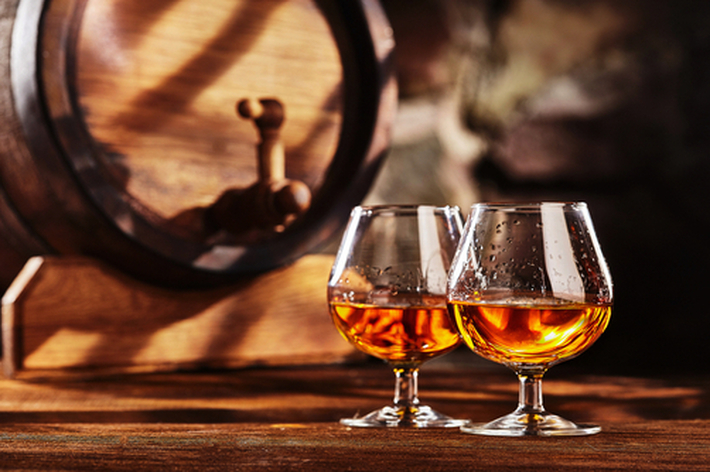 Taste the warming whisky on our Talisker distillery tour. Immerse in the mystical atmosphere of the island, enjoy the virgin nature and fall in love with the picturesque places that can be found on the Isle of Skye only. Ferry crossing from the Isle of Skye (Armadale) to Mallaig. Make a photo stop at the famous Glenfinnan viaduct, which, in addition to being the first and the longest concrete viaduct in England and Scotland, was captured in Harry Potter and the Chamber of Secrets when the main character was on his way to school on the Hogwarts Express. While travelling to Glasgow stop to admire Glen Coe, one of the most picturesque valleys in Scotland, and Loch Lomond, the largest freshwater lake in Great Britain. Acquaintance with Glasgow - the largest city of Scotland, walk along Buchanan Street - the tourist and shopping artery. Buy souvenirs. Walk to George Square, the main square of the city, which houses monuments of the most outstanding Scots such as Robert Burns, James Watt, Walter Scott, Queen Victoria, and others. * This is an example itinerary of a typical trip we organize. Scotland’s stunning scenery is at your fingertips! Choose one of our trips based on your group size, budget and availability. For more details regarding our hiking adventures in Scotland, please visit our FAQ section.